"Michiana Mainlines" posted a 20 minute video on Youtube showing the KLS&C dinner train from Paw Paw to Lawrence in 1990. There is some wrong information in the video but most of it is correct and it is very informative. I believe this is the only publicly available footage of a train in Paw Paw and Lawrence and any KLS&C operations! I saw a clip of this footage on Facebook a few weeks ago, but not the whole thing. Thanks for sharing! The streamlined Keystone cars went to the Walled Lake dinner train, and are now on Ferromex in Mexico. 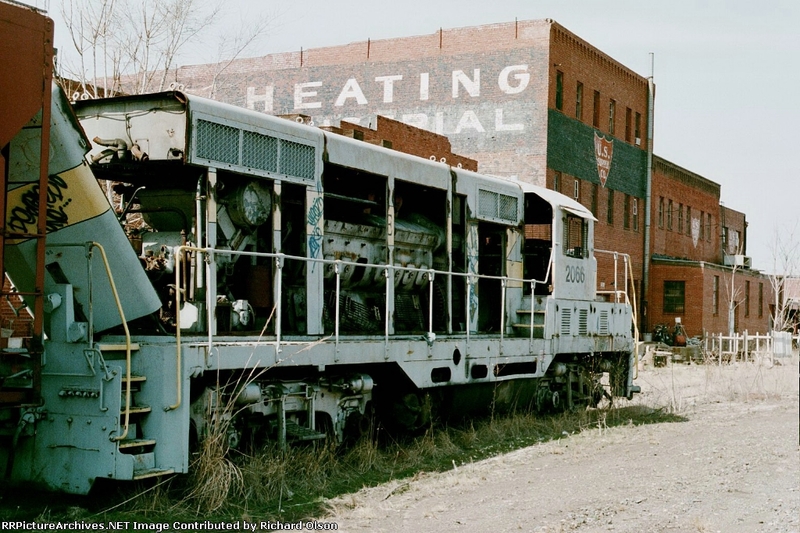 #2066 (scrapped in Wichita 2001). #2067 (last seen in Loveland, CO 2006). Wow 29 years ago, that was Mark Cambell waving from 2067 behind the Coca-Cola plant west of Paw Paw. The depot area didn't have a depot till later. Just a picnic table and landscaping. That was me on the fireman side of 85. Crossing where the stored equipment was Wildeys or Tea Pot Dome your choice. That was another Michigan Northern geep sitting in the weeds at Sheldons Ditch. The engineer walking the people back to the coach is Gerry Kerns who was always running 85. Thanks for the memories.